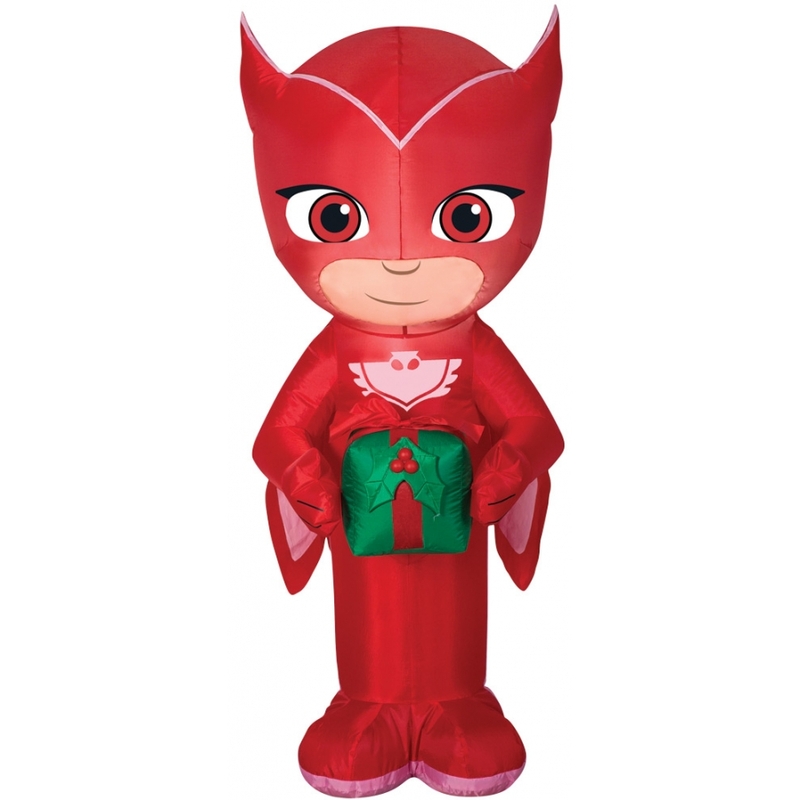 Airblown Owlette with Present will delight your children with a fun character from their favorite Disney Junior tv show series, PJ Masks! Measures approximately 3.5 feet tall. Airblown gives your decor maximum impact with minimum effort and it comes with everything you need for quick and easy set-up. You just stake it down and plug it in. 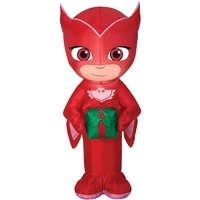 Lights up with clear LED lights Self-inflates in seconds Deflates for easy storage Made of Fabric,80%; Metal,10%; Plastic,10%. 42 inches tall, 19 inches wide, and 18 inches deep.